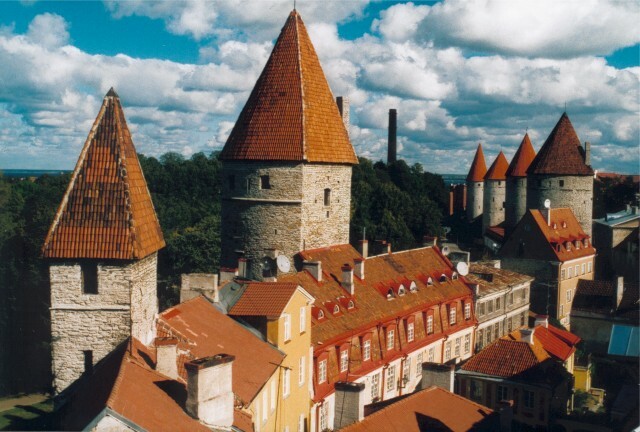 Tallinn, the medieval, mobile-mad capital of Estonia, owes its fortunes and seemingly endless misfortunes to its strategic location on the eastern shore of the Baltic Sea, where northern Europe and the Orient collide. The city has been moulded by a curious combination of Teutonic efficiency and Russian extravagance. Although its Old Town is often described as �fairy-tale�, there�s not a hint of tweeness in the architecture: the soaring spires of the churches and the narrow, Hanseatic merchants� houses, leaning perilously into the streets and washed with watery limes, yellows and pinks, are unfussy, even austere. The �sleeping beauty� feel comes from the forest that encircles the Old Town, softening the edges of the rugged city walls. Seagulls wheel above the rough grey limestone castle of Toompea before spiralling down past russet turrets and the cubist jumble of red-tiled roofs to the silvery Bay of Tallinn, where cruise ships sound their horns before edging out towards Stockholm, Helsinki or St Petersburg. Almost twenty years since shedding the Soviet yoke, Estonia still pulsates with the excitement and adrenaline of a fledgling state - and nowhere more so than in its dynamic capital Tallinn. After centuries of foreign rule, Estonians have finally got control of their country and they're determined to enjoy every minute of it. In fact, with the economy booming, cultural events rife, and a restaurant and nightlife scene that keep going from strength to strength, Tallinners have never had it better! Throw in a UNESCO-listed Old Town, a scattering of Gothic spires, a Medieval castle, Tsar's Palace and a couple of sandy beaches by the Baltic, and it's little wonder that us foreigners want a slice of the action too! Let us be your guide to this amazing city and you're sure to find plenty of great hotels, restaurants, bars, nightclubs, shops, and places to have fun. As well as giving you the low-down on all of the above, we'll also dish out some top travel info and tips, helpful language hints (for impressing the locals) and keep you up to date with the latest news and events in the city. 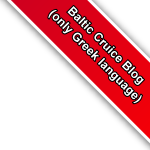 Whether you're a city slicker planning a wild weekend, a student traveller touring the Baltic greats - or maybe a local looking for some English guidance - we aim to be your number one source of information in the city. Tallinn has much to offer the traveller and local alike, but as with anywhere knowledge is the key to unlocking its best treasures. We plan on giving you that knowledge in as fresh and fun a way as possible! We do our best to keep the information thorough and up-to-the-minute. However if there is something you can't find, please contact us. 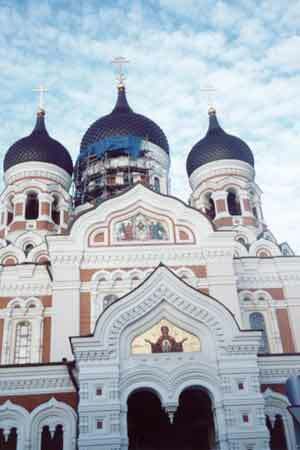 Even the best can get better and we won't stop until we've created the number one guide to Tallinn! Seeing as you're in the neighbourhood, why don't you call in on our friends in St. Petersburg, Moscow, Riga, Vilnius and Warsaw? Wherever you go in the East you'll be sure to find that the hospitality is warmer than the weather! When the Baltics States of Lithuania, Latvia and Estonia made their accession into the EU in 2004, half of Europe seemed to be scrambling for their maps, eager to find out where the exotic-sounding locales of Vilnius, Riga and Tallinn were hidden. Enveloped in the Iron Curtain for so long, these amazing cities had disappeared from the conscience of many of their Western neighbours... And when they did pop up again in the 90s the common myth prevailed that Communism had rendered them more grey than a Manchester sky in winter. Around the turn of the millennium however, an increasing number of bold pioneers (viz. budget travellers, touring rugby groups and opportune stag-nighters) were returning from North East Europe with tales of beautiful architecture, friendly locals and colourful nightlife. Suddenly it seemed you couldn't open the travel section of a national newspaper without finding an article on 'The Bountiful Baltics' by the latest budding Bill Bryson. Out of the three ex-Soviet cities, it was Tallinn which garnered the most attention, and it's easy to see why. A combination of fairy-tale splendour, sophisticated bars and fresh Baltic breezes along a sandy stretch of coast, quickly made this sleepy town a dynamic hotspot for holiday-makers. 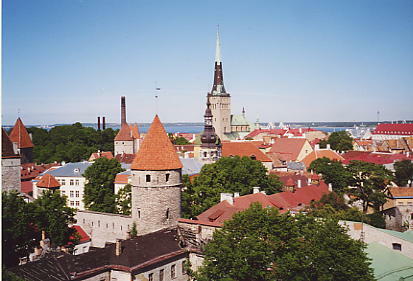 And with more and more businesses opening to cater for the tourist industry Tallinn is only set to become increasingly popular in the years to come. There's certainly no shortage of things to do and see in the capital and those searching for an exciting weekend away are sure to find the petite but very pretty Old Town (a UNESCO-listed treasure no less) with its cobbled streets, conical roofs, churches and castle, perfectly manageable in a two day tour. Whilst those planning to stay in town for a bit longer will have time to explore Tallinn's resurgent City Centre, or even go further afield to the leafy district of Kadriorg, where an Imperial Russian Palace caps a mountain of treasures. If the sun has got his hat on guests to the city might want to check out the Pirita District, where beaches, bikinis, yachts and champagne rule supreme. Why not charter a vessel to one of Estonia's 1,520 islands? Bet you didn't know about them!